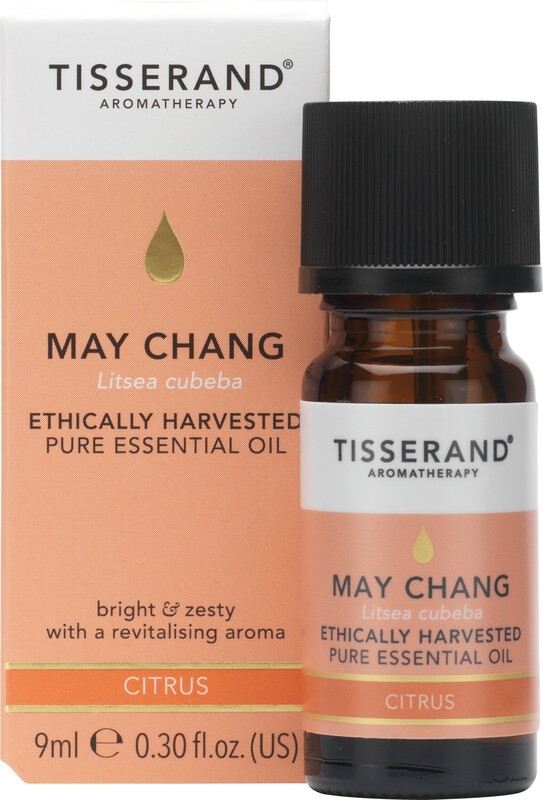 Tisserand May Chang Essential Oil is bright, uplifting oil with a stimulating, fizzy-fruity aroma. Ideal for vaporisation and massage. May Chang Oil, also known as Litsea Cubeba, is extracted from the rind of the fruit grown natively in China. This happy oil has an array of health benefits when used as a massage oil. Naturally astringent, it can be used to treat an oily complexion, clear airways to improve chest and nasal ailments, and to help improve eczema and other skin conditions thanks to its moisturising qualities. May Chang will create a cheery atmosphere when burned in a vaporiser, and when mixed with other citrus essential oils, it creates an effective room refresher.